A group, the Education Rights Campaign, ERC, has demanded for a reversal of the new cut-off marks set by the Joint Admission and Matriculation Board, JAMB. The board had with the approval of vice chancellors, provosts and rectors of all Nigerian institutions on Tuesday set the cut-off marks as 120 for degree awarding institutions, 100 for monotechnics and polytechnics and 110 for innovative enterprising institutes. Until the review, the marks were 180 for degree awarding institutions and 150 for the others. The ERC said in a statement signed by its national coordinator, Hassan Soweto, and secretary, Ibukun Omole, that lowering of cut-off mark cannot solve the existing crisis in the education sector especially in primary and secondary schools. According to ERC, by lowering the cut off marks, JAMB is effectively preparing the ground for another crisis in the medium and long term. The group said the proper way to rectify this problem is reversing the underfunding and privatisation of primary and secondary education through government massive investment in public schools. ERC said the government must begin to rebuild decayed school infrastructures across the country, establish new schools and employ more teachers and support staff with improved remunerations. 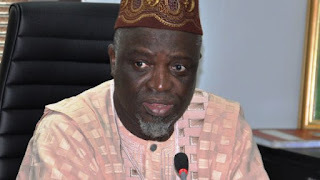 ERC noted that ‘there is a motive’ behind JAMB’s lowering of the cut off marks while referring to the JAMB registrar, Ishaq Oloyede’s justification for the reduction as off the mark and weak. ERC said private tertiary institutions are the usually culpable in this kind of lawlessness because they are often under-subscribed and are always cutting corners to increase their intake. “We wish to tell JAMB Registrar that JAMB is a public institution funded by tax payers monies and that he was appointed to act in favour of the interests of the general public and not private interests,” the group said.